Many people shy away from carrying umbrellas around because of the inconvenience they cause. Weather forecasts are not always a 100% true but still, people want to avoid from getting soaked in the rain. Travel umbrellas are small compact umbrellas that can withstand the fiercest of storms. They easily fit into our backpacks and handbags thus saving us from the same of carrying an umbrella around. Apart from protecting us from the rain, travel umbrellas can be used to shield us from the sun and snow. Newdora uses a windproof construction design which ensures it will not break under stress. The canopy is made is built using premium fiberglass and steel components which automatically adjusts when inverted. To save on weight it is fitted with an electroplated steel shaft and a rubberized ergonomic handle. 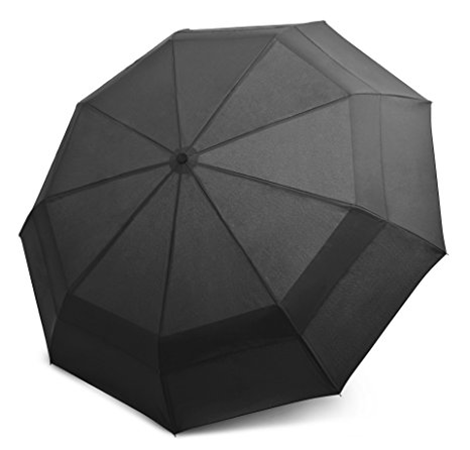 The canopy has a diameter of 41 inches and the umbrella itself only weighs 14 ounces. It has an automatic open/close mechanism which makes it easy to operate. Rainlax features a double layer black canopy that provides UPF 50+ UV protection. The umbrella’s length is only 10.6 inches and has a manual open/close system. Its small size is convenient for traveling and will easily fit into a handbag or backpack. The 8-rib are reinforced using fiberglass and can withstand heavy winds and rains. 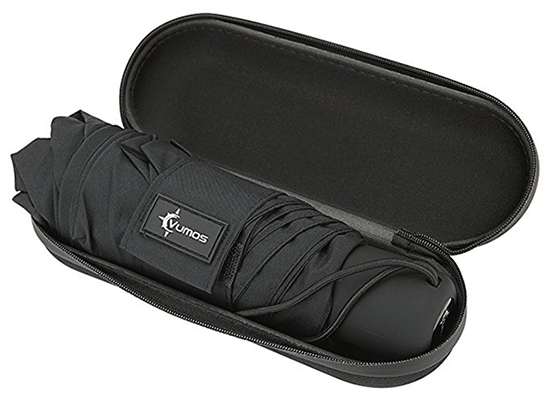 Vumos comes with a stylish waterproof casing that protects the umbrella. Its only 8 inches long and weighs 280 grams together with the case. The canopy is made using rain repelling Teflon coated material which dries a lot quicker. Its fiberglass ribs can endure strong winds without breaking. 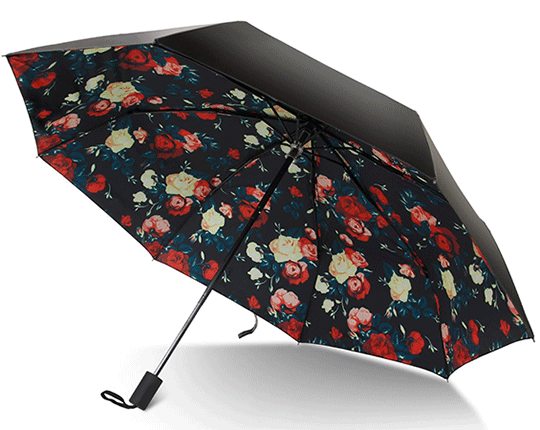 HappyRain is an ideal choice for those looking for a strong but bulky compact umbrella. Its shaft is made with premium quality stainless steel. The resin reinforced fiberglass ribs proved that it could withstand winds of up to 55mph. This umbrella’s canopy is made using waterproof 210T polyester. A quick open/close function was added for convenience. It is 10 inches in length and weighs 0.5 pounds. The Koler is a large size lightweight portable umbrella designed to protect 2 people from the rain. When opened, its canopy has a diameter of 46 inches. To prevent wind tear and rib distortion, the canopy is fitted with heavy duty water repellent fabric. When closed the umbrella is 11.8 inches in length. 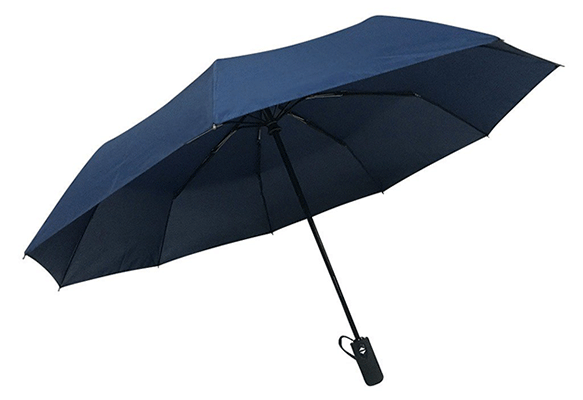 Fast open and close mechanism make this umbrella a great companion. An innovative double canopy design prevents it from flipping over in strong winds. The Brooklyn basix is a small durable travel umbrella designed for the urban chic. 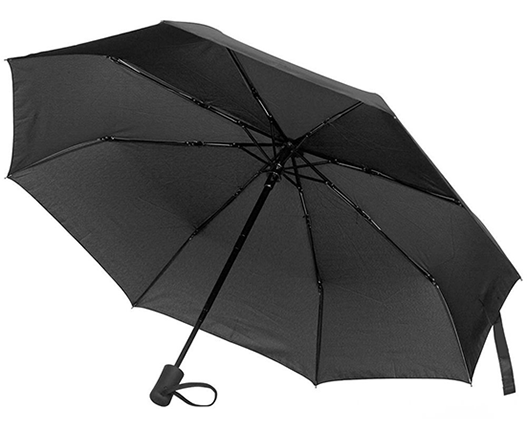 Its hardened steel ribs give the umbrella strength and flexibility against wind. 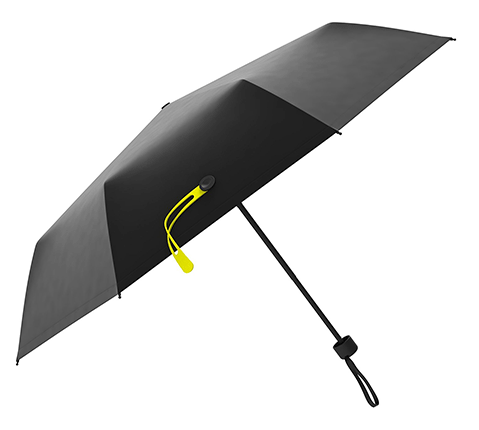 The umbrella is rated UPF+ 30 on UV protection and is waterproof. It is fitted with an instant open/close button for usage convenience. When closed it is 11 inches long and weighs 1.2 pounds. The Rain-Mate is fitted with 9-rib strong metal frame reinforced with fiberglass. Its canopy measures a whopping 42 inches when opened and when closed the umbrella is just 12 inches long. It can easily fit into handbags, backpacks, briefcases, and glove compartments. Rain-mate umbrella has an open and close mechanism on its ergonomic rubberized handle. It weighs only 0.85 pounds and is known for its durability. 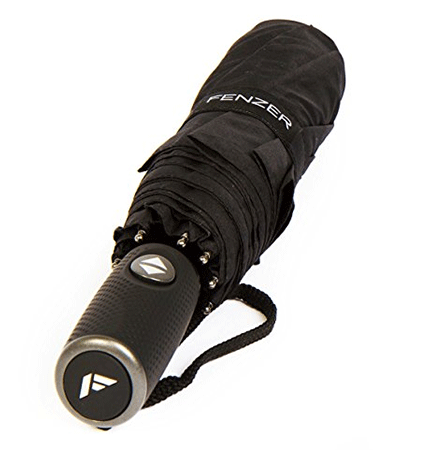 Fenzer travel umbrella is built to ensure maximum durability, strength, and with quality material. The Teflon canopy can withstand windy conditions and guaranteed not to split or tear with its usage. Superior Teflon 210T pongee fabric is virtually indestructible and waterproof. 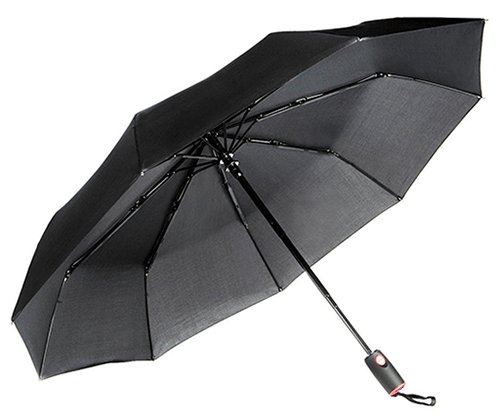 The umbrella’s shaft is made using aircraft grade aluminum. A designer ergonomic handle is fitted to give its carrier maximum grip and comfort. 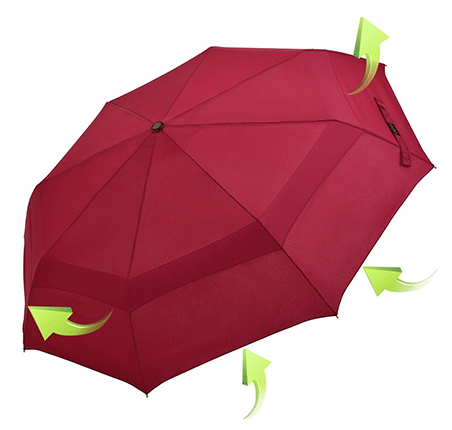 Automatic open/close function eases the process of opening up and closing the umbrella. The umbrella is clearly designed for a professional and comes in a compact size. It is 11.2 inches long and the diameter of the canopy is 37.5 inches. 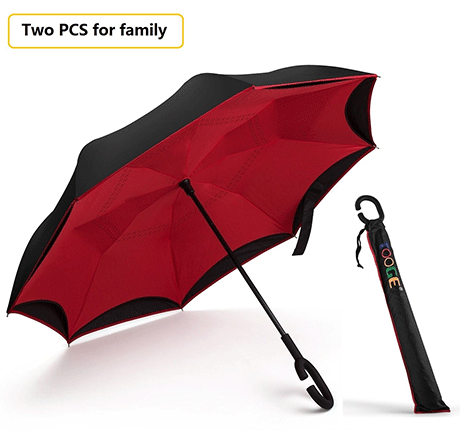 Comes in a compact lightweight size and it will be easy carry this umbrella around. The 38-inch canopy is made using lightweight, water resistant polyester that drys quickly. The shaft and ribs are made from strong stainless steel that guarantees the umbrella to maintain its shape in windy conditions. The umbrella only weighs 0.6 ounces and is 11 inches long. A mold-resistant canopy is fitted on the canopy and its sleeve. The EEZ-Y has been passed multiple sturdiness and durability tests. The cannot easily flip because it utilizes a vented double canopy technology. Its frames uses a unique blend of military grade fiberglass and stainless steel which ensures the umbrella can withstand wind speeds of up to 55 mph. The EEZ-Y is both portable and light thanks to the 210T fabric used in making its double canopy. 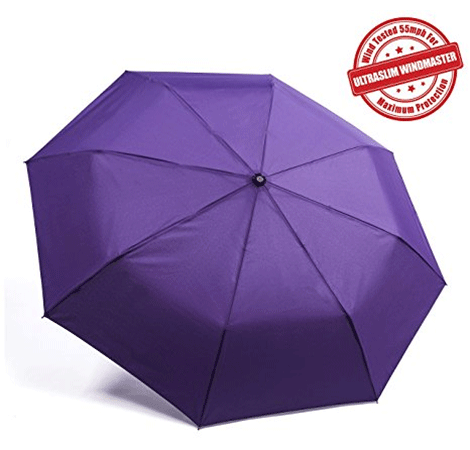 It is fitted with an automatic open/close mechanism to ensure ease of use of the umbrella. The slip resistant handle beats other umbrellas in its class. It weighs 15.2 ounces and is 11.5 inches long. The crowncoast is built to withstand the strongest of winds. It was proven to withstand wind speeds of 60 mph in a wind tunnel. Unlike other travel umbrellas, it cannot get damaged when it flips. The flexible ribs help the umbrella retain original shape when it flips back. Built using superior water repelling canopy, the Repel will keep you dry during heavy showers. Quality workmanship was put into this umbrella to ensure maximum durability. The wind defying 9-rib canopy will amaze you with its strength. 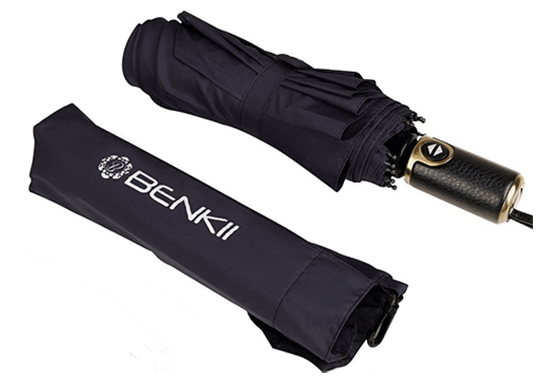 An ergonomic slip proof handle and wrist strap make it easy to carry this umbrella around. It weighs only 14.4 ounces and is 11.5 inches long. 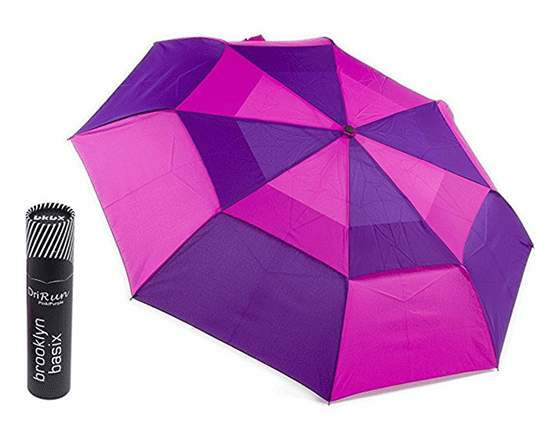 Kolumbo travel umbrella is designed using a new wind-resistant technology. A patent pending wind frame system which protects from damage in case it is flipped. Kolumbo has proven that it can withstand wind speeds greater than 55mph. It has proven to be the best in this class and built using light polyester that is highly water repellent and drys up quickly. With the push of a button, this umbrella will either open or close. 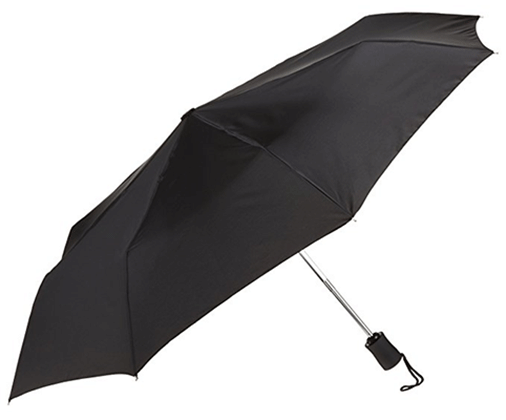 It has a wide canopy measuring 38.5 inches and very light for a compact umbrella.